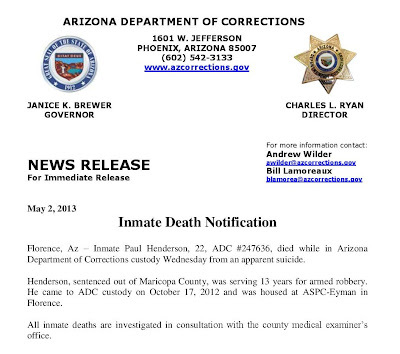 Arizona Prison Watch: ASPC-Eyman Deaths in Custody: Suicide of Paul Henderson, 22. 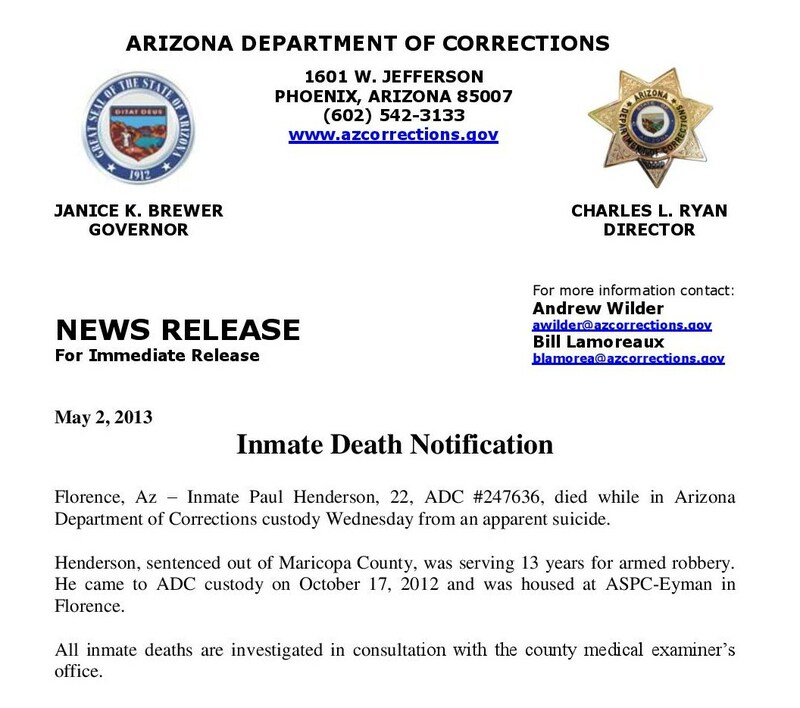 ASPC-Eyman Deaths in Custody: Suicide of Paul Henderson, 22. 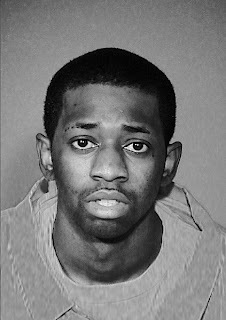 This young man apparently killed himself yesterday at ASPC-Eyman, the Supermax in Florence. To his family, I'm so sorry for your loss, for this particular way, especially. Please get an attorney to find out what really happened to your loved one, as there are too many of these suicides these days. If anyone knows the details of Paul's life or death, I'd like to be able to help tell more of his story than just what his criminal record says. My name is Peggy Plews and I can be reached at 480-580-6807 or arizonaprisonwatch@gmail.com.